When I wrote this post (DirecTV is to AT&T as HITS Was to TCI) it was pure speculation. When AT&T launched U-verse, which attempted to provide TV, Internet and phone service without a fat pipe (i.e., cable or fibre) into the household, I recalled that cable engineers said that it wouldn't work. I recall the quote from one. He described the problem as: "physics". For a few years, however, it did. AT&T could provide TV, Internet and phone service via twisted pair (traditional telephone wiring), provided the Internet speeds were not too fast and the household was not watching or recording too many HD programs at the same time. Until a 2010 upgrade, a household could not watch more than 2 HD programs at the same time. However, now the writing is on the wall. 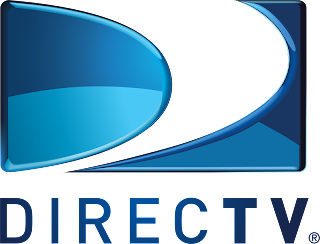 Since AT&T acquired DirecTV in July 2015, it has steadily deemphasized its newer U-verse offering (launched 2006) in favor of expanding DirecTV (launched 1990). U-verse lost 1.36 million video customers in 2016, while DirecTV added 1.23 million subscribers. Since the multichannel television market is not growing, but Internet access is, clearly moving customers off of U-verse TV service (and shutting it down) will allow AT&T to devote that bandwidth to offer faster Internet speeds on such systems without a complete rebuild. Reason: physics. Today brings an article about the likelihood of shutting down the U-Verse website on which it markets the triple play.